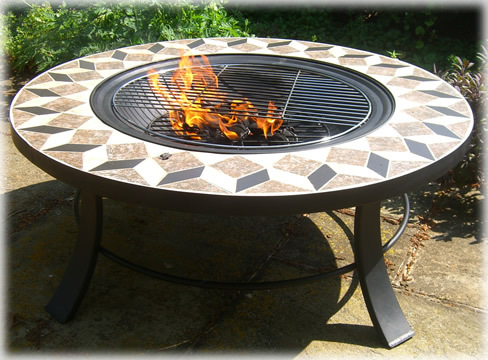 Round table Fire pit: Braziers, fire baskets copper firepits, buy online.. Thank you for an excellent prompt and efficient service. I ordered the firepit on the 25th and it was delivered on the 28th. My husband is thrilled with it. New product just in. Once lit, the Chinese Lantern outdoor fireplace produces heat from all four sides with access via the large mesh door. Ash is simply removed via the ash pan which is built into its deep hearth. This versatile patio heater also sports a removable swing out grill, utility tool, built in carrying handles and unique ash pan. Great for entertaining and warming up your party guests. Perfect gift idea, comes neatly boxed. Some assembly required. Another best selling fire bowl complete with BBQ grill and spark guard. 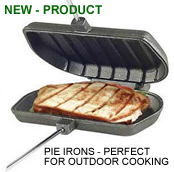 This set offers instant fire or BBQ enjoyment and is very compact and space saving. New product just in. 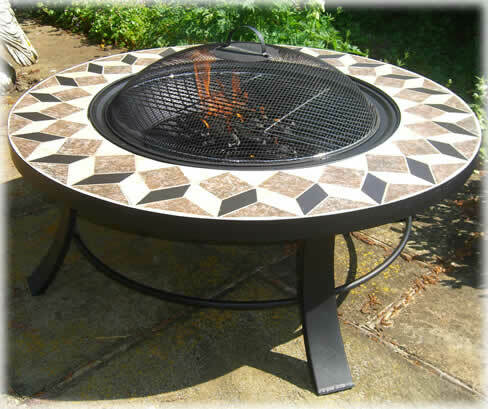 A best selling mosaic ceramic tiled fire bowl complete with BBQ grill and spark guard. 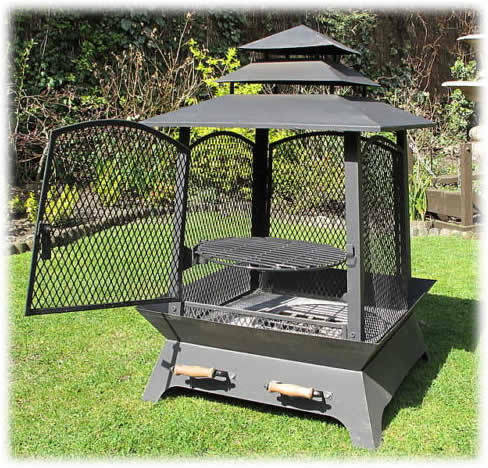 This set offers instant fire or BBQ enjoyment and are very compact and space saving. 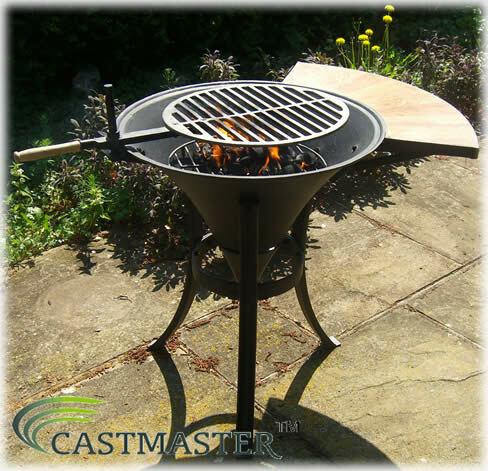 This versatile fire pit also sports a removable plated cooking grill should you want to russle up some bangers, a utility tool and a spark arrestor. 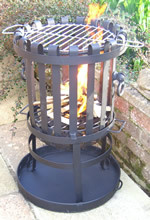 A superb Fire basket, brazier, fire pit comes complete with ash tray and BBQ grill with handles. 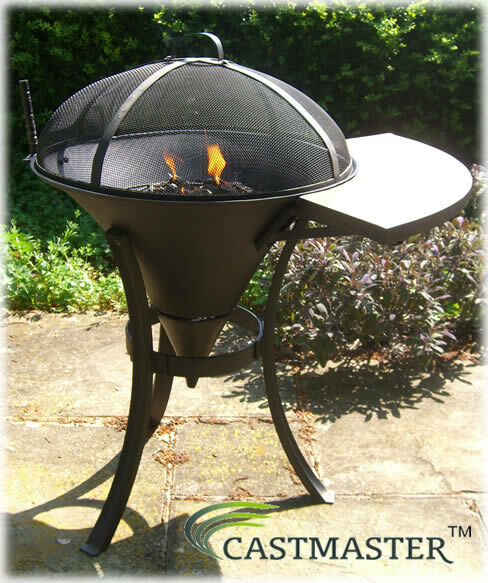 Simple to use, either for burning rubbish, keeping warm on the patio or throwing a BBQ. Some assembly required. *69 cm's tall and 42cm's diameter.